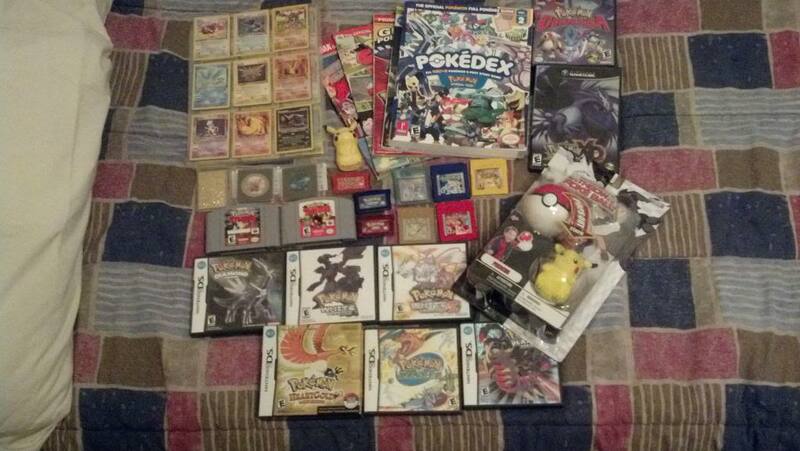 There are three different kinds of pokémon fans in my mind. 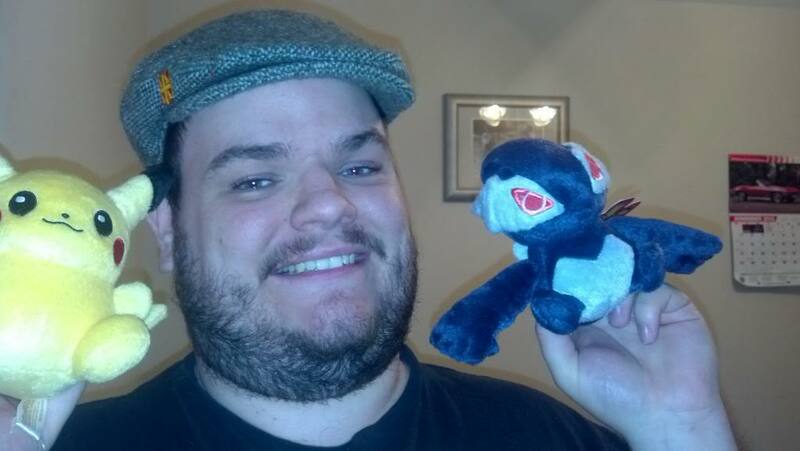 There are the casual players who just muddle around with a game or two every now and then, there is the tourney enthusiast who only likes a few pokémon with pre-determined movesets that worship Smogon as the ultimate authority on all things pokémon, and the “true” fan that plays often and loves both the good and the bad about them. I had originally written this one as another worthless pokémon like Luvdisc, but I started really looking at what he can do. This guy gets Adaptability which means that all water type moves do 2X more damage by default even if the opponent isn’t weak against water. It also has 95 base attack which isn’t necessarily spectacular but with 90 base attack Aqua Tail using this attack power and having Adaptability he can really pack a punch. I really do like this pokémon but then again maybe it’s just my redneck roots and the fact that it’s a bass. Despite all that I just can’t bring up hatred for the little thing. I personally love the unique typing even though it makes it susceptible to many types of attack it’s something different from the norm. Smoochum is also one of those pokémon that I can look at and completely ignore its evolution (similar to Lickitung) and be perfectly happy. You don’t have to have the bad memory of Jynx to ruin this little thing. Plus it’s just cute and that’s enough for me to like it. It also doesn’t hurt that a friend of mine absolutely loves this pokémon and has convinced me to downgrade my hate for it to the point that I actually like it. …the rat. You cannot consider yourself any sort of pokémon fan if you don’t know this creature and especially it’s ever annoying previous form, Rattata. This pokémon line holds a great amount of nostalgia for fans because for many of us this was the first wild pokémon we ever ran into and thought “aww yeah a rat this could be awesome!” …but of course it was anything but. Rattata were everywhere, the move pool wasn’t necessarily glorious, and it just became a vehicle for Team Rocket to abuse giving you ample Mankey training. Not only to mention that it was far outclassed even in its own original generation by the likes of Lickitung, Kangaskhan, Tauros, and Snorlax. It started the trend of truly worthless normal types on the first route you get to. I thought there was no redeeming quality in this creature till the Gen 4 remake of Gold and Silver and one gym leader in particular. That’s right, Morty’s gym in Heart Gold/Soul Silver is what made me love this little rat. Morty of course is the ghost type fourth gym leader of Johto. He has a gastly, two haunters, and a gengar ranging from level 21 to 25. This is important because at those levels the only non-ghost type move they would know that does actual damage is sucker punch which is effective but not a whole lot since it’s a physical attack and these ghosts are special attackers. This sucker punch could obliterate a psychic type so what do you use? Raticate of course! Why raticate? It learns bite at level 10 and it learns the very powerful Crunch at only level 24. So if you slightly over train your raticate you can walk through his entire gym crunching and biting away and the only attack they can even try to hit you with is Sucker Punch which won’t do much damage at all. Sure it’s only one real use for one gym but it’s enough to make me respect the mouse! UPDATE: With pokemon Sun and Moon Raticate has been given a little more spotlight with him being the first Moon Totem and a dark type now. However I still love the original for the reasons I mentioned above. I’m not really sure if Elgyem is considered a hated pokémon so much as he is a completely overlooked pokémon. It’s completely overshadowed in pretty much all aspects within the confines of the new Gen 5 pokemon alone much less any previous versions. Victini, Musharna, and Reuniclus outshine it in statistics. Swoobat and Gothitelle outshine it in levels of people despising them, and Sigilyph gives people far more of a “WTF” reaction when they see it. It’s just so incredibly average that it kind of sinks into Hypno levels of forgettable just due to its very average stats, very average move pool, and very average look. However the science fiction nerd in me is screaming of love for this pokémon. This is something I think we really needed; a true alien pokémon to have around. Sure Clefairy were supposed to come from the moon and Deoxys was from space but nothing looked like a real alien and this is a stereotypical gray alien in cuddly form. Also of note while its stats aren’t the best, it has the same base special attack stat as Reuniclus at 125 (which is higher than Victini). 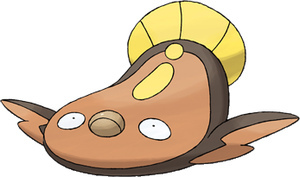 It is also the only pokémon that naturally knows the ability Telepathy, which prevents it from taking damage from its team mates in double or triple battles. It’s a very useful and really neat little guy that needs more attention. Let’s just hope he doesn’t have to cross dress to get that attention. Where to start on this guy… Delibird is one of the most notoriously hated pokémon in all of history. His stats are atrociously low which is fine for a first stage pokémon but he does not evolve. He is also an Ice/Flying type pokémon which admittedly we only have one other, but unfortunately that one other is the legendary Articuno. When comparing to that awesome bird it makes Delibird look even worse! What’s more is that he naturally only learns one move, Present. This wouldn’t be so bad if it wasn’t for the fact that present sometimes hurts the enemy, sometimes heals the enemy and sometimes hurts you. No way of knowing what it’s going to do. Also in the original gold and silver, catching one to fill out the pokédex was terrible because it was the only wild pokémon outside of the safari zone which could run away in the middle of battle. It’s abilities that it gained over the years of game development don’t help it a bit either other than making sure it doesn’t fall asleep or making sure it’s faster but less accurate. There have been no real improvements to make this guy usable. But yet I absolutely love this pokémon. It’s really hard for me to justify loving this little guy. There is SO MUCH against him that it really makes him pretty much unusable outside of in-game with technical machines added at level 100. However there’s just something about his cheerful little penguin face that makes me love him. I love the concept of this little guy. The fact that naturally the only he does is give out presents that might hurt or might heal you have no way of knowing. It’s a gambit as to what’s going on and you just have to hope luck is on your side. He’s a nice little oddity and I love the fact that he’s around for us to enjoy. 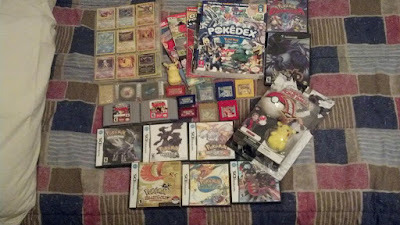 Plus I like how he’s effectively the pokémon equivalent of Santa Claus. HECK in the anime, Santa Claus actually owns one, and that’s pretty boss! People hated him from the second they saw him. They took one look at the design of this guy and just checked out. Those that waited to see him in-game were turned off by the weird goofy grin he has in his animation. It’s also really odd to have a fish pokémon that’s not water type at all. In fact, it’s weak against water which is where you find him. So logically that makes no sense because he would be hurting in his own environment. I don’t have much bad to say about this guy because people judged the book by its cover way before they should have. 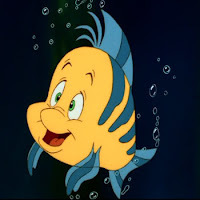 People harped on his design but have they ever actually seen a flounder? A founder has both its eyes on one side of its body and it also has that really goofy mouth. It’s a fairly good representative of what a flounder is. The typing makes sense somewhat because we don’t need another water/ground type and the ground is fitting because flounder bury themselves in the dirt underwater. The Ground/Electric type is very unique and I love things that are oddities. His stats aren’t spectacular but they are good enough to actually be used. He gets the Static ability which is helpful because he has worse defense than he does special defense so people are more likely to hit him with a physical attack and potentially get paralyzed from it. His move pool is also very versatile including Ground, Electric, Flying, Water, Normal, and Fighting type moves naturally. He really isn’t that bad of a pokémon and I enjoy having him even if his cry sounds like a juicy fart. It does have a lot wrong with it, but there’s just something charming about this pokémon. 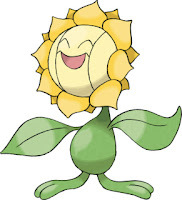 The fact that there is a consistent sun theme, with it being a sunflower, evolving via the sun stone, abilities boost it in the sun, it learns Sunny Day. It’s all very thematic and I can appreciate that. There’s also something about its cry that makes it seem sad when people say how awful he is. I honestly don’t know why I love this pokémon; it’s the one I understand the least, but it’s one of my little favorites that I always enjoy getting each generation. Farfetch’d is one of those where you have to ask exactly why it existed to begin with. 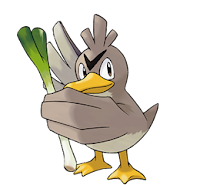 In the original game there was only one that you could only obtain via trade and even in the first generation it wasn’t unique; we already had the Pidgey line, the spearow line, and the doduo line. Normal/Flying type wasn’t unique then and it’s sure not unique now in 5th generation. It has the most abysmal stats for its typing as it has the lowest overall stats of any final form or non-evolving Normal/Flying type. It’s even overshadowed by Chatot. It didn’t really need to be included to begin with, and it certainly shows its downfall now. Despite its abysmal stats, I really do love the fact that this little guy was included. For me the novelty of him in the original games was cause enough for his inclusion. He is also just a standard duck who honestly is designed a whole lot better than ducklett could ever think about being. His move pool is also semi-diverse. He can learn poison, bug, normal, flying, and dark moves naturally, not to mention fire, grass and fighting moves by egg and move tutor. He’s something cool to have around especially once he knows false swipe, and he always brings a smile to my face. Update: This was written prior to Gen 6 and the Fairy typing. 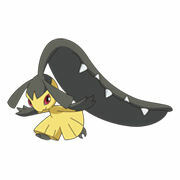 Mawile is no longer an ignored or hated pokemon.... but I loved it before it became Fairy. What the heck is this thing? It looks like some sort of elf with parachute pants pretending to be a crocodile. Looks like some sort of Dark type right? NOPE! Pure steel type! How can this be a steel type pokémon when there’s nothing even slightly metallic about him? His stats are nothing to write home about in any fashion and he only learns one steel type attack (that’s used offensively). What a waste! His move pool is shabby and his starts are ridiculous; if you want a steel type go with Aggron or Metagross. Heck if you want a mono-steel type pokémon go with Klinklang from Gen 5. It’s a terrible pokémon too but it’s got better stats than Mawile and a better shot at doing you some good. Having said that, I love the concept of Mawile having this massive façade surrounding him is very cool and reminds me a lot of Sudowoodo, a pokémon I also really enjoy. If a pokémon knows the move Crunch, for some reason that’s an automatic win in my book. I see Mawile as more of a pokémon that, if they were real, I would own for the novelty of owning something bizarre and not for fighting. The concept is cool and what few good moves he learns are also cool making him one that I just can’t help but love. There has always been hatred for this one and I can’t say it’s not justified especially at the current status we are with pokémon. This is yet another non-evolving water type pokémon which we have an overabundance of… actually we have an overabundance of water types period. His stats are monstrously horrible putting him along the bottom run of all “final form” water types. This means that so many outshine him by leagues it’s not even funny. He wasn’t even an original typing at the time he came out because Omastar and Kabutops exist and they are overall better in pretty much every manner. On top of that, people harp on the Gen 5 pokémon for being unoriginal, but this thing here is just a very slow piece of coral! 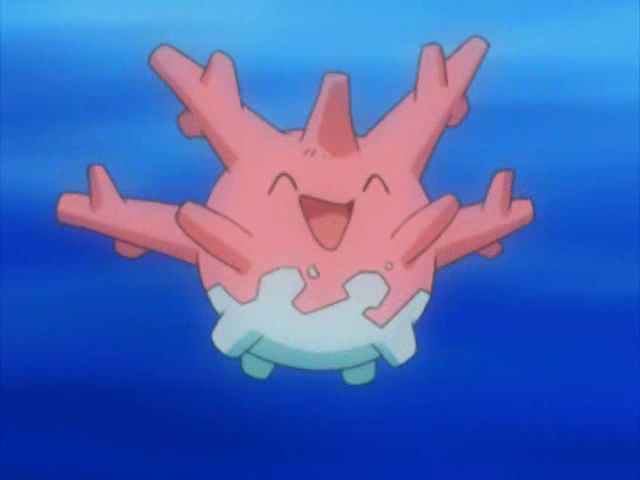 UPDATE: Corsola is STILL the punching bag of the pokemon universe. In pokemon Sun and Moon they gave Corsola some extra use. Finding them in the wild is the only way to eventually summon a Mareanie, one of the new pokemon for Generation 7. However once a Mareanie appears on screen it actively attacks any Corsola who appear along with it... what the heck?! And there you have it, my top 10 pokémon I love that most everyone hates. Maybe you can find it in your heart to take a second look at something you had earlier dismissed to see if there is any redeeming quality within even if it’s just pure “cute” factor. I know you’ve seen a lot of Pokémon related things on here, so I will attempt to keep that to a minimum going forward cause I’m sure you’re getting tired of it.